Plaintiffs’ petition for Writ of Certiorari to the Supreme Court of the United States in Knife Rights’ nearly eight-year-old civil rights lawsuit over New York City’s persecution of pocket knife owners was filed today. The petition requests that the Supreme Court review the Second Circuit’s decision against our plaintiffs in this case. While our lawsuit against New York City and District Attorney Cyrus Vance, Jr. centers on their abusive enforcement of New York State’s gravity knife ban against owners of common pocket knives as being constitutionally void for vagueness, the focus of the petition is on the larger constitutional issues surrounding vagueness and how it is applied in the different circuits. The Second Circuit is steadfastly resisting the clear rulings of the Supreme Court and is therefore directly at odds with both the Court and the other Circuits that have addressed this issue. The Supreme Court should resolve this clear split in the Circuits and address the Second Circuit’s overt defiance of Supreme Court precedent. The petition explains why this case is important and worthy of the Court’s attention. 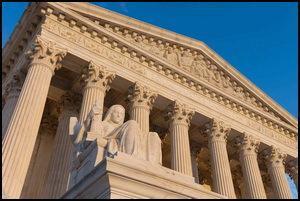 Should the Supreme Court decide to grant the Writ of Certiorari, the case could affect the implementation and enforcement of a wide spectrum of laws to persons throughout the U.S.